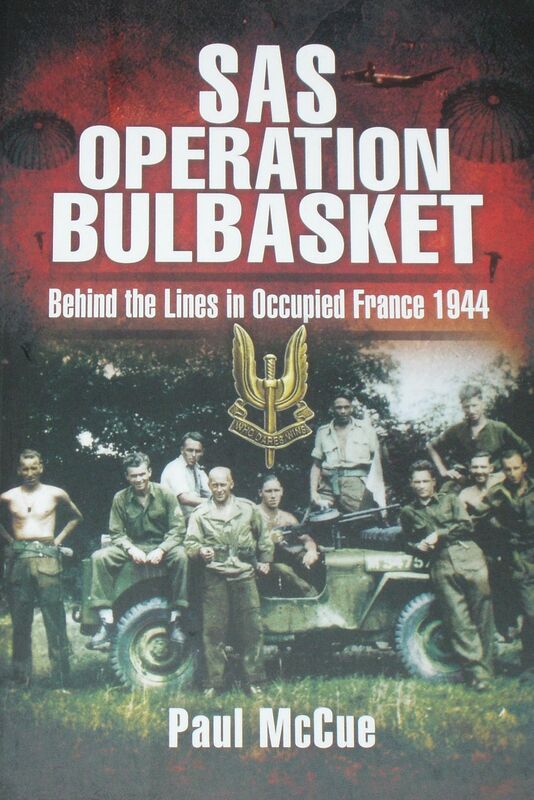 From the rear side cover: The story of Operation Bulbasket is one of such tension and drama that any resume which revealed its outcome would rob the reader of the vital element of suspense. Suffice it to say that on 6 June, 1944, known to history as D-Day, two members of the SAS were dropped by parachute deep behind the lines in enemy-occupied France. Shortly to be Followed by others, amounting in all to fifty-five men, their task was to disrupt in every way possible the movement of German troops to the north to repel the Allied invasion of Normandy. Only now, with the release of hitherto classified documents and thanks to a remarkable amount of painstaking research on Paul McCue's part, can the full story of Operation Bulbasket be told. The author has traced the surviving main participants and, by their various but often contradictory accounts and much careful detective work, has managed to piece together what really happened in those dramatic eight weeks after 6 June. Indeed, thanks to this book, those survivors have only learned the full story which was hidden from them for over fifty years.